Wu-Tang Clan lead member and acclaimed American rapper RZA will host a Music Lab session at Apple's Union Square store in San Francisco later this month. First spotted by AppleInsider, the the free-to-attend session called "Developing Your Sound with RZA" will reveal a number of techniques the hip-hop artist uses to produce his music. Attendees at the January 22 session will begin by brainstorming and sketching out ideas to create their music story and sound profile. 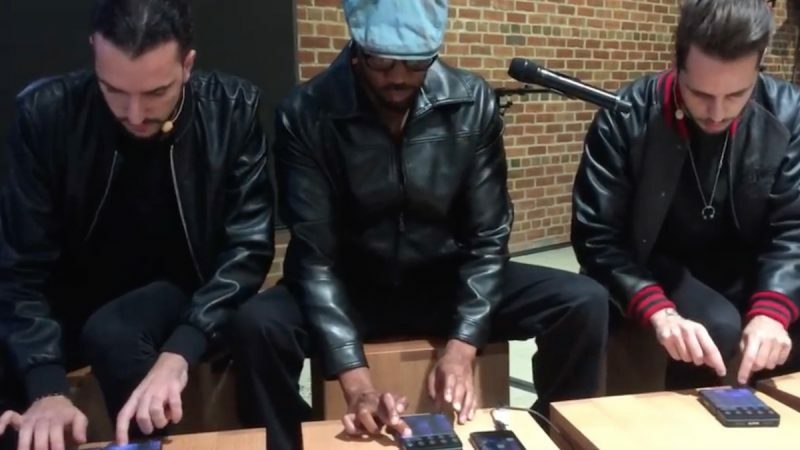 Then they'll get to grips with GarageBand for iPad Pro and ROLI Blocks, which will help them learn how RZA developed his trademark beats, which revolutionized hip-hop in the 1990s. Sadly, the session at Union Square is all booked up, but anyone interested will have other opportunities to attend the same course with a video introduction by RZA. The sessions will be offered at all Apple stores as part of the company's new "Today at Apple" retail program, which involves locations hosting community-building workshop events. Check the link for details on upcoming events in your area. As a name, RZA seems a bit ‘meh’. Now if it was Krazee-Eyez Killa, I might get on a flight. Even a dumpy middle aged housewife such as I am, thinks this sounds so cool and I would love to take the kids to this when it comes to our area. It would probably end up too crowded for us to get much out of it, so I would hope for a video presentation we could watch at our leisure and be able to replay. Wait, so I can be in the Apple Store and just look up and randomly say 'Sup "Mr. Tang? Here's an Apple." Not into the Wu-Tang, but gotta say, kind of cool! I wouldn't be surprised if RZA eventually does this at Apple Fifth Avenue in Manhattan once they reopen the store. He introduced a couple of Shaw Brothers movies I saw in 35mm back in 2016, and seemed like a fun guy to shoot the breeze with. I had the opportunity to see him perform for free, but Real Life got in the way. Hope folks have fun, that sounds like a great class. You mean Big Baby Jesus? I saw this at the Special Event announcement with that new marketing head at the beginning and was VERY impressed and would love to see artists at the rebuilt Toronto store ... yet if it was Drake I'd skip it (never been a fan). But I'd travel to see RZA and carry my new Blocks on over with me through the border! If Dirty was around he'd be saying to Apple execs .. 'Hey Dirty shut up and give me my money!" No disrespect to this individual and what he's doing to get others involved in the creative process, but cannot stand any wu music without ol dirty. He was apparently the glue that held that magic together. Its like journey without steve perry or styx without dennis deyoung. Again, no disrespect, as i know others probably like their music.